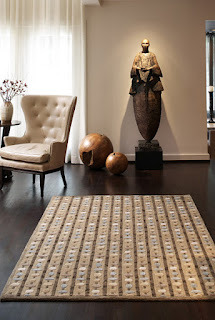 Area rugs have so many unique characteristics - they are truly works of art. However, they are works of art that are walked on and as such they go through their share of wear and tear. Unlike other floor coverings, area rugs should not be replaced so much as cleaned and repaired to maintain their value and function. How do you clean your area rug? Take it to the area rug experts at Kermans! At Kermans we specialize in treating delicate rugs of all kinds including Orientals, Silks, Machine-Made, Antique and all other Handmade rugs. Each area rug is treated individually with special attention and care for proper cleaning and the best results possible. At our state of-the-art cleaning facility, we determine the best cleaning technique and method that suits your rug's particular weave, fibers and dyes. Our expert technicians extend the life of your rug and protect your investment with cutting edge processes that deep clean and revive the colors of your rug. Have a question about your area rug? Not sure if it needs repair or deep cleaning? Want to know what you can do to extend the life of your area rug? Ask the area rug expert at Kermans and we'll be happy to respond promptly with an answer to your question. As a part of our Kermans Advantage program, we have expanded our cleaning and repairs abilities to include all rugs from handmade oriental rugs to custom broadloom rugs. We have also introduced a new pricing point to accommodate the different processes involved in cleaning machine-made and broadloom rugs. Fill out the “Ask the Expert” form for more information and any questions you may have for our cleaning department. Stop by the Kermans showroom in the Castleton area of Indianapolis and we'll be happy to answer your questions and help you keep your area rug looking like new!